The term Aerotoxic Syndrome was coined in 1999 to describe an elusive occupational health condition that affects mainly pilots and other cockpit crew members. The Aerotoxic Syndrome is possibly brought about by exposure to air which has been contaminated by traces of [jet] engine oil, causing [chemical] sensitivity, irritancy, and other symptoms associated with neurotoxic poisoning. 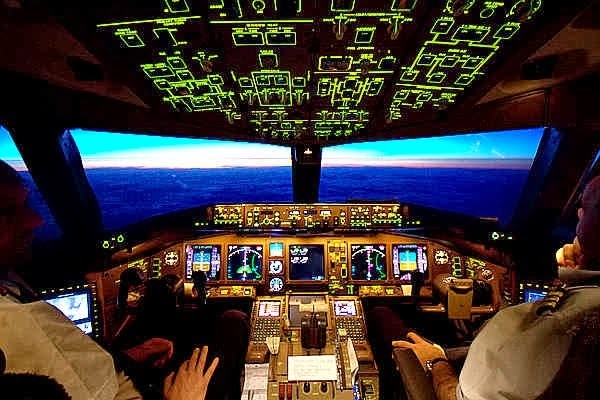 Regularly, airline pilots complain about loss of memory, headaches, dizziness, tunnel vision and other neurotoxic effects. The symptoms are non-specific, consisting predominantly of fatigue and mild cognitive impairment. However, these traces of contamination are much smaller than if you would be in a room where there’s one smoker that has smoked only one cigarette. There have been a number of scientific studies that tried to ascertain if these pollutants were indeed harmful for the crew memebers but all surveys concluded that no air pollutant exceeded recommended health levels; hardly any trace of oil vapour was ever detected. Which suggests that the Aerotoxic Syndrome is probably an imaginary syndrome, much like the Chronic Fatigue Syndrome.